Bienvenue reception desks are modular and are available in a wide range of different exciting combinations to suit your budget and requirements. Available in a choice of 6 coloured laminates and 3 coloured corners, these tables are delivered for free to any UK mainland address in 5-7 working days from order. A reception area is one of the most important areas in an office. Large companies spend huge somes of money on creating an environment that is aesthetically pleasing as well as professional, but why? The reason that companies spend such large sums of money on their reception area is that they know that when potential clients or new visitors enter the building, they will normally have to go through the reception area. It is human nature to begin to form impressions based on appearance and if you have a poor quality, dated reception area then these first impressions are not going to be positive. You will not get another opportunity to get these first impressions back so it is important to make sure that you leaveyour visitor with the right impression. In any refurbishment, the first deciding factor, that will ultimately effect the overall appearance of your reception area is the colour scheme. You will want to take careful consideration on the colours that you use as different colours can give subtle emotional responses. We recommend that you use lighter colours in your reception over darker colours and if you can, try and use the colours of your company. The reason for this is that it will help to give some association with the rest of your company and will help to subtly push your brand. 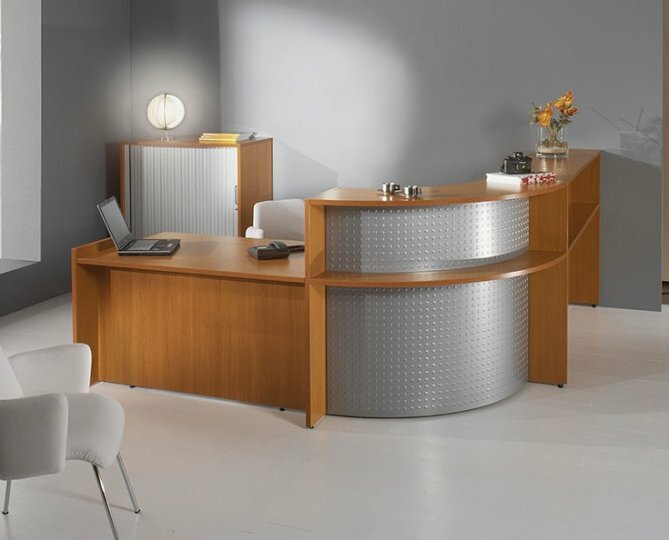 The reception desk is the next important factor for consideration for your brand. 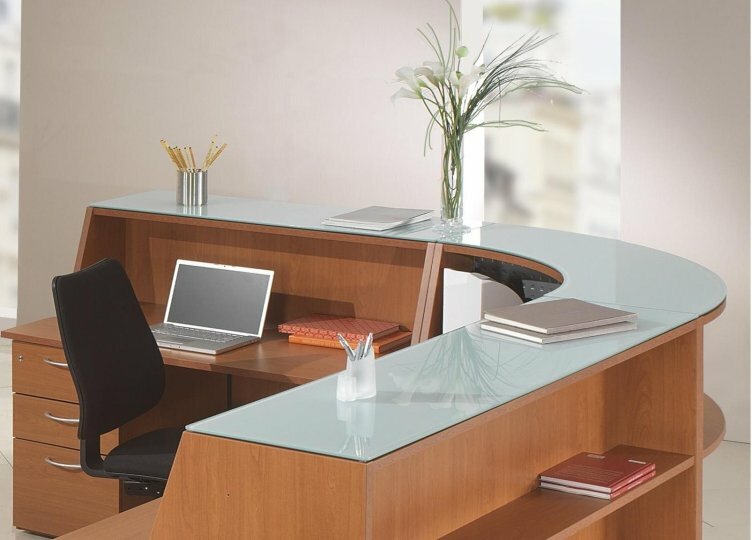 Having a professional and sleek desk that is efficient, will help give the area a more professional look and appeal. There is a wide range of reception desks on offer with some being modular so you can create a desk configurationthat suits your reception. Any professional reception area always has a comfortable seating area. The reason for this is that usually new visitors or clients are required to wait in reception to be seen, so it would seem rude not to offer an area to sit down. You can create these areas by using unit sofas, tub chairs or sofas. we have a huge range of fabric reception chairs as well as leather or vinyl reception seating. If you are having trouble in realising your vision of your reception area, we have an expert design team that are able to help you design your reception area by providing accurate 3D visuals of what your reception will look like. This service is completely FREE so give us a call to take advantage of this fantastic offer.